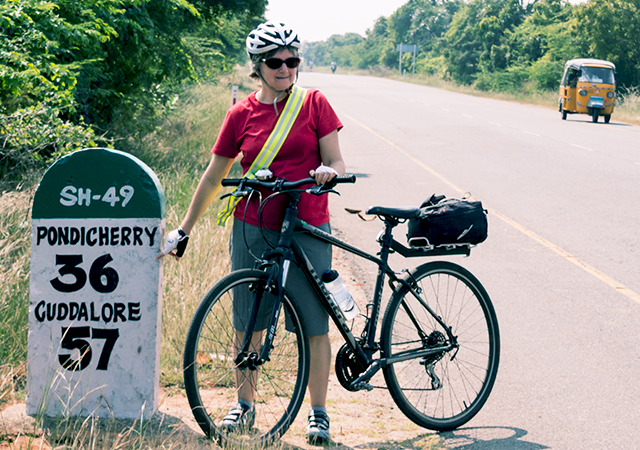 Cycling excursions are a great way to explore India. You can mix sport, nature and culture when you are touring on a bicycle. The beauty of bicycling is that you can travel through difficult trails and routes that are inaccessible to cars and other modes of transport. You can feel the true pulse of the place you are visiting, not to speak of the different trails – cross-country, downhill or freeride that’s open to a cycling enthusiast. 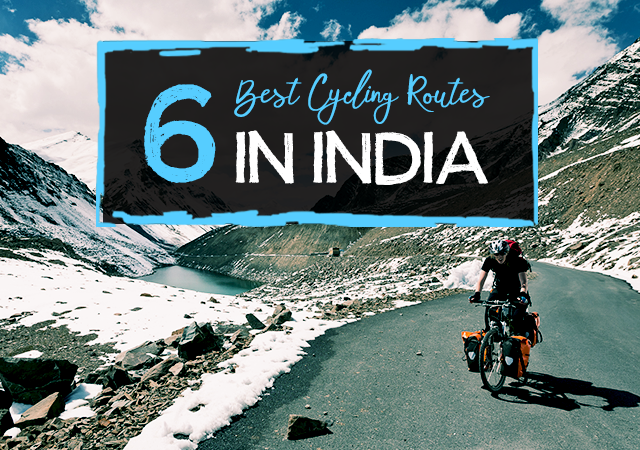 If you are looking for a cycling adventure that’s both fun and challenging, here are 6 routes for you. These routes range from easy to moderate and tough, so if you are physically healthy and would like to relish a true holiday adventure, here you go. 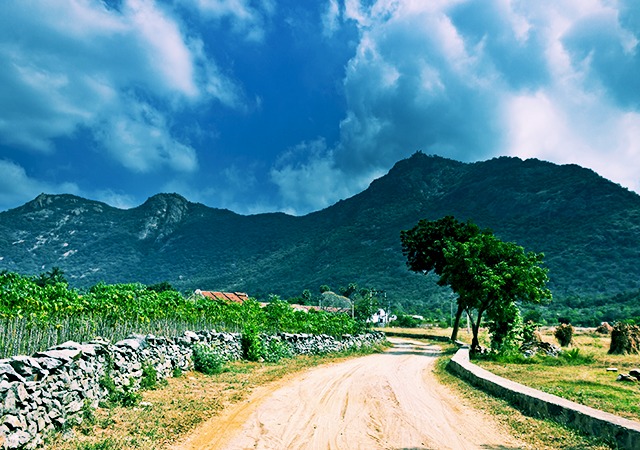 Explore these scenic routes, and you will soon be planning your next one. Kolli Hills is called an offbeat paradise, and when you visit the hills on a bicycle it is a totally different experience altogether. Plan your trip depending on where you are travelling. If you are a moderate to expert rider, you can ride from Bangalore to Kolli hills for a weekend trip as it is just 257 kilometres away. 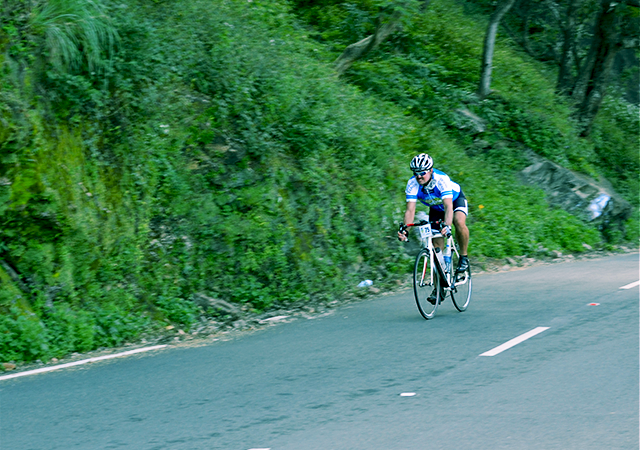 You have to negotiate through 70 bends to get atop the hills, so make sure you are really fit and healthy. 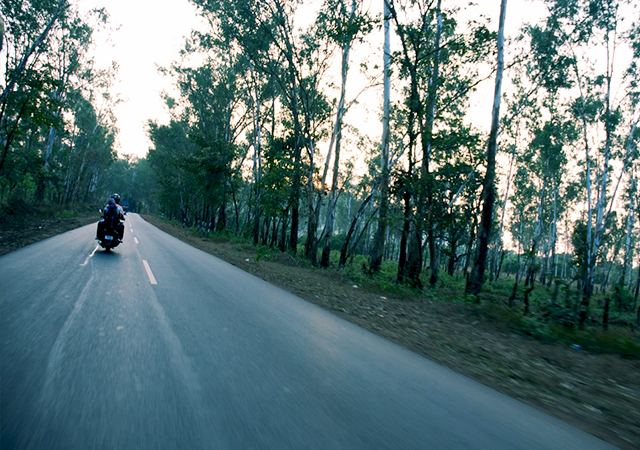 All the 70 curves are packed tightly within 30 kilometres, making it all the more exciting. The good news is that the area is largely unexplored, so if you are planning a trip with close friends, it will be a fun experience you can share together. Once you reach Kolli Hills, you can head to some of the places worth visiting there – Arapaleeswaar Temple, Botanical Gardens, Tampcol Medicinal Farm, Siddhar Caves and Puliancholai. Kolli Hills is 385 kilometres from Kochi, 202 kilometres from Coimbatore and 367 kilometres from Chennai. Riding amidst walls of snow with spectacular sights to keep you company… How does that sound? 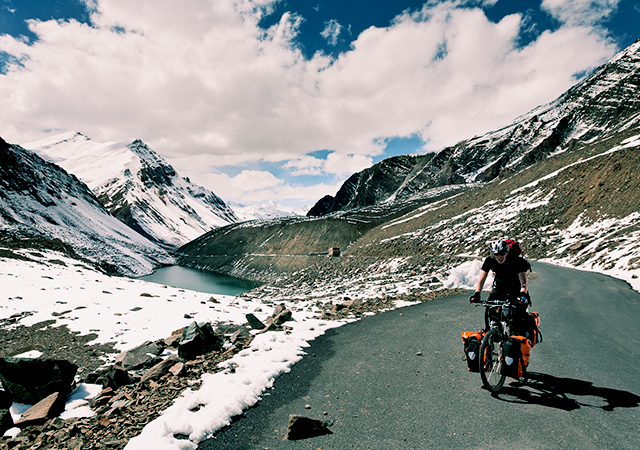 The trip from Manali to Leh via the Rohtang pass is one of the most sought after cycling trails for expert riders. 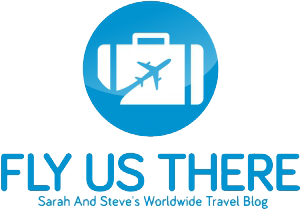 The ideal time for touring would be 15 days, so make sure you are well prepared for the tour. The cycling distance would be 470 kilometers along different altitudes and sceneries. The ride is likely to keep you spellbound and at the end of the trip, you will come out rejuvenated and refreshed, and with the feeling that life is indeed beautiful, despite its trials and tribulations. However, you have to be prepared for long stretches of winding roads, freezing temperatures and zero visibility. To prepare for this route and to keep yourself conditioned, you need to have regular cycling practice every day, and go on longer rides during the weekends. This is one of the easiest cycling routes in the list. The beautiful stretch from Chennai to Pondicherry has good roads, lovely trees and beautiful sights. The ride can be completed in two days, or in 12 hours. You can either choose an ordinary cycle or a geared one because it’s your comfort level that’s more important. Once you reach Pondicherry from Chennai, you will be rewarded with lovely views of the wide boulevards and seafront promenade. It’s a tour you shouldn’t miss. The cycle ride from Munnar to Anamalai will essentially cover the best of South India as you go along these routes – Munnar – Mattupetty – Kunadla – Perumala – Kanthallore – Marayoor – Amaravathy – Palani – Anamalai. The total distance would be around 210 kilometres covered in 4-5 days or less, depending on your speed and expertise. But it is a fairly easy ride if you don’t mind riding for a few days. The roads are absolutely scenic, and you will be rewarded with incredible views of the hills, valleys and the tea estates even as you start your ride. This is a tour not to be missed. To feel the wind on your hair and face as you make the steep climbs and glide downhill is an exhilarating experience. Mangalore to Goa would take you through an incredible experience altogether as it lets you ride right by the sea. On one side you can see the beauty of the Maravanthe beach, and on the other, you can watch the calm Suparnika River. Your ride at a moderate pace would take around 6 days. 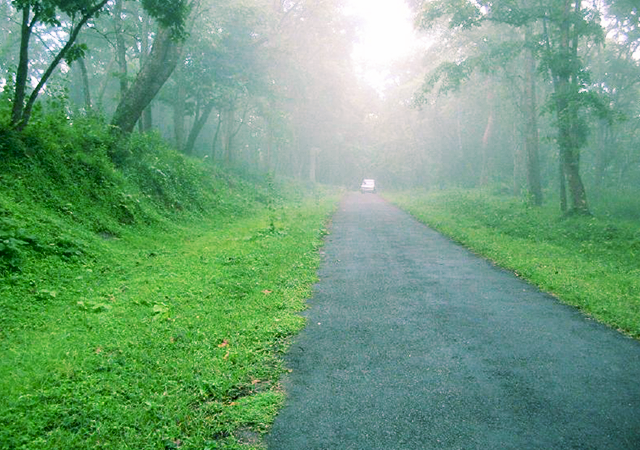 It is one of the most relaxed and laid back cycling routes of India as it is mostly through a major highway, the NH 17. How about cycling amidst thick forests, hills and valleys and traversing through luscious waterfalls and lofty peaks? This is what a cycling tour from Valparai to Vazhachal will present you with. The scenic winding road is a popular cycling route among enthusiasts, and you are likely to meet many others on the way. Enroute, you can feast your eyes on the magnificent beauty of the breathtaking Athirappilly and Vazhachal waterfalls in Thrissur. Cycling tours have their own charm, and are just perfect for those who love adventure blended with a certain level of athleticism. Even though you may get tired after a long hard day on the saddle, it is still worth the trouble because you can appreciate the scenic beauty and the special terrain of each land at your own pace. If you are in good health, you must try these routes at least once in your lifetime.